There appears to be little doubt single-tenant net leased properties will once again rank among the more popular small-cap commercial real estate investment categories in 2012. Broad and deep investor demand for drug stores, bank branches and fast-food restaurants leased to strong-credit tenants has continued putting downward pressure on corresponding capitalization rates for the past two years. And the improved financing (and low-interest-rate) environment likewise tends to boost income-based valuations as more and more buyers bid aggressively while looking to goose yields with leverage. On perhaps a more positive front for wannabe buyers: the supply of net leased properties offered for sale should grow as the year progresses, as several of the stronger chain operations are pushing new developments. Hence small-cap players interested in this generally passive investment category should conduct plenty of market and tenant due diligence - and exercise considerable caution - if they want these ventures to prosper over the longer term, stresses veteran dealmaker Mike O'Mara, vice president with net lease specialist Calkain Cos.
As O'Mara is quick to caution, these seemingly safe investments are in fact subject to a lot of the make-or-break risks associated with more hands-on small-cap projects. Numerous variables can affect a property's price when the buyer looks to exit - including the rental rate a replacement tenant will likely pay if the existing tenant defaults or opts not to re-up at lease expiration. Interest rates and credit markets generally can certainly shift in volatile fashion - and it's not unreasonable to expect debt costs to rise assuming the economy picks up over the relatively near term. And as we've seen time and again, development activity during recovery and bubble periods can lead to over-supplies of particular property types. And in an election year featuring a fierce ongoing political battle over the federal budget and national debt, a potential hike in the capital gains tax rate is another value-affecting factor to consider, relates O'Mara, who operates from Calkain's Burlington, Mass. office. 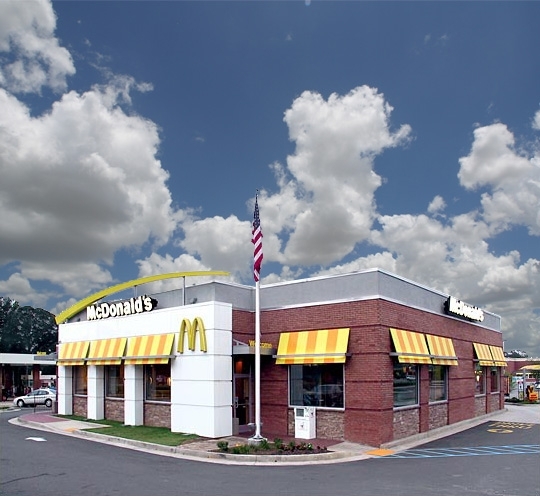 Of course would-be buyers must also keep in mind that there can be quite a wide discrepancy in the likelihood that a franchisee will default on a lease, relative to a corporate-controlled lessee. In addition to the generally short supply of offerings, a key factor behind the cap-rate erosion of late has been the heavy competition for net leased properties - especially those featuring tenants boasting investment-grade credit ratings. And 2012 seems set for more of the same. Several cash-flush private REITs have become exceptionally aggressive bidders even for small-cap net leased properties - especially those that can be purchased in portfolio packages. Multiple REITs have been pursuing Dollar General deals, putting particular pressure on their yields, O'Mara notes. For instance a REIT affiliated with the American Realty Capital family just paid $4.5 million for five Dollar General stores in Missouri. Another big private REIT sponsor, Cole Real Estate Investments, also just bought a like number of CVS drug stores in Ohio and Pennsylvania. O'Mara is also watching whether general economic stabilization prompts a lot more owners to put multi-tenant properties on the market, and look to exchange proceeds into net lease deals on a tax-deferred basis. Indeed exchange-motivated clients of net lease specialty dealmaker The Boulder Group just paid $5.17 million for a 14,750-square-foot Walgreens in Olive Branch, Miss., and $7.37 million for a 14,500-square-foot Walgreens in Mount Pleasant, SC. Another such investor just paid $2.45 million for a 3,578-square-foot Chase Bank branch in Houston in a transaction arranged by Marcus & Millichap. After a couple years of fairly steady cap rate compression, yield-based pricing in many cases isn't far from the pre-recession peak notwithstanding today's continuing economic malaise, O'Mara notes. "A lot of us are just scratching our heads." With transactions in the $5 million vicinity these days, yields on properties leased to credit tenants are typically in the 7s and low-8s. As for the non-investment-grade space, yields for benchmark Rite Aid stores are typically in the 9s, O'Mara specifies. Boulder Group's latest research also notes persistent general cap rate compression through 2011's third quarter. Bank branches continue to generate strong interest, with median asking prices factoring to a 6.15 percent cap after falling another 55 basis points over just three months. In the drug sector, Walgreens and CVS held pretty steady at median asking caps of 6.75 and 7.0 percent, respectively. FedEx facilities had a strong showing, with the median cap falling 54 bps to 7.75 percent. As for the stalwart-credit McDonald's: a solid 40-bp dip to 5.0 percent. Predictably the under-supply of offerings relative to investor demand has already prompted many investors to "broaden their reaches" further down the credit-quality and market-size spectrums in search of higher yields, O'Mara also observes. But the supply of new offerings is likely to expand as surviving strong-credit operations ramp up development after keeping busy shoring up balance sheets (and in some cases taking over abandoned facilities) rather than focusing on building new sites. Indeed the single-tenant development pipeline generally appears far more robust than has been the case for quite a while, O'Mara is happy to point out. "The stronger drug stores and others are now looking for promising new development opportunities." Walgreens for one is also pushing its new health and daily living concept - offering some in-store health care services via nurse practitioners. While O'Mara cautions that weaker banks may shed some surplus sites, he also notes that the likes of Chase and PNC are actively building and converting branches that generate strong net lease investor demand. Moreover, investors willing to conduct considerable market and tenant research might want to consider the burgeoning opportunities in single-tenant medical properties, O'Mara suggests. Hospital systems will be leasing more of these facilities ahead, and specialized chains such as dialysis outfits are bound to require more and more appropriately outfitted properties in select submarkets, he elaborates.